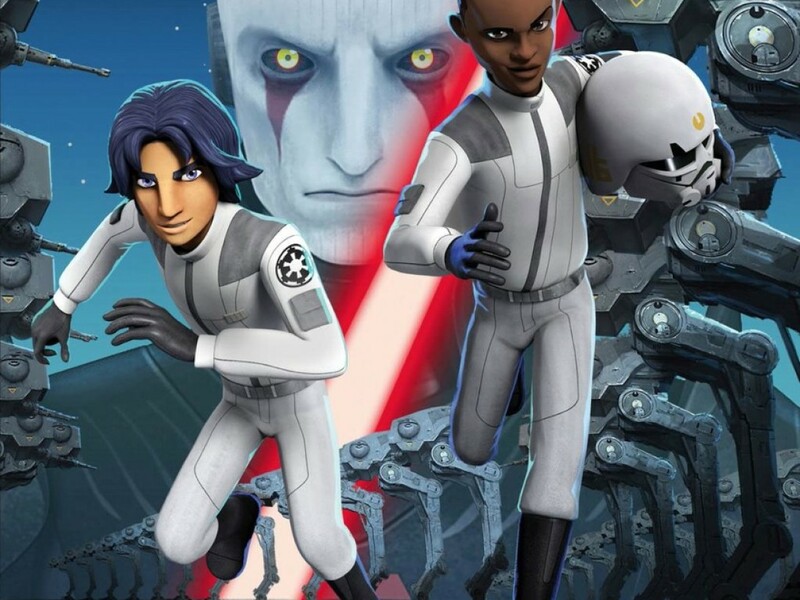 Like every other fan I was thrilled to read the original May 2013 press release about a new animated series called Star Wars Rebels. 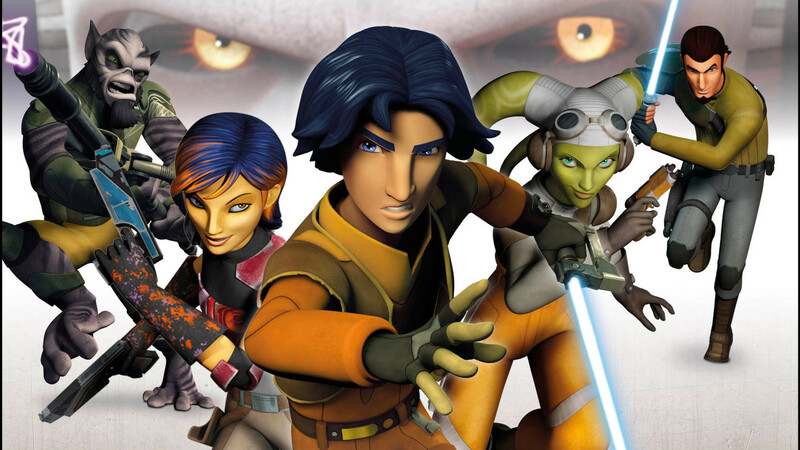 I was equally excited to learn that it would be helmed by Dave Filoni and many of the same great folks who worked on Star Wars: The Clone Wars. I had high hopes for Rebels, but like everyone else I thought it would be a long wait before I finally glimpsed very much of it. I never imagined at that time that I, a mere fan, would eventually write the guidebook that introduced the series! 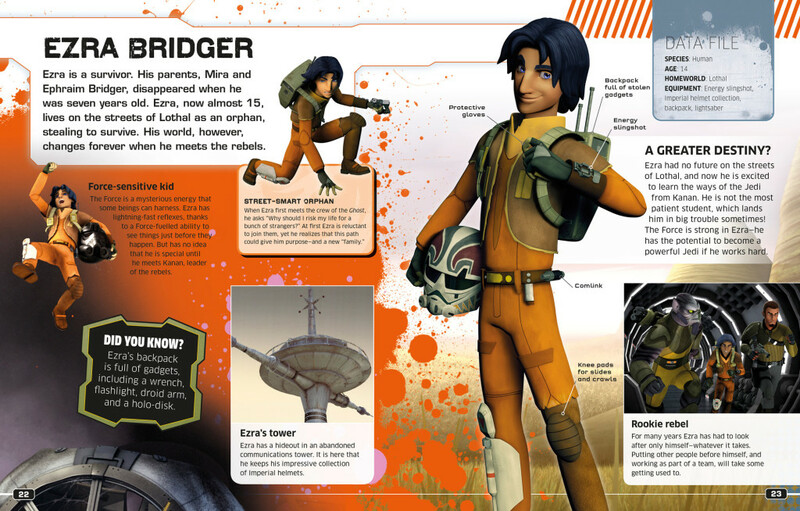 I began working on Star Wars Rebels: The Visual Guide very early this year. 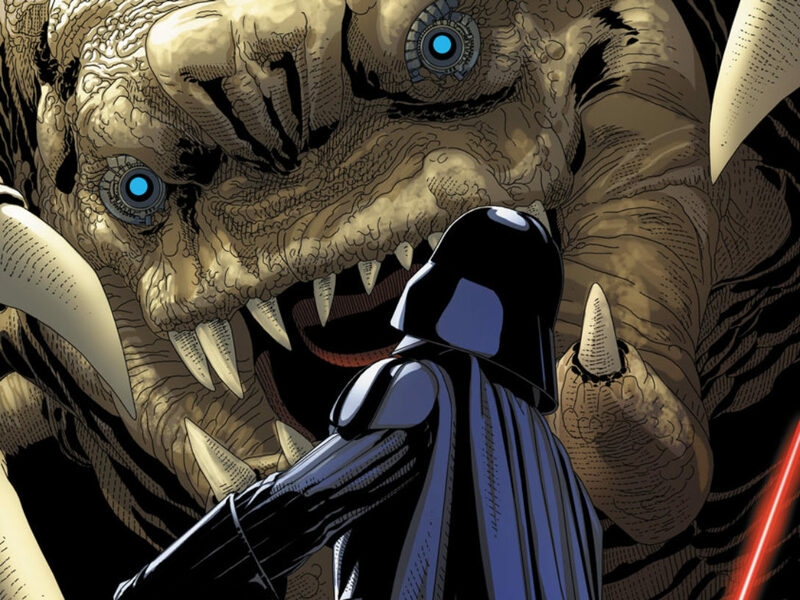 It was only my second Star Wars book for DK, after Star Wars: What Makes a Monster? The first images I saw from Rebels were of Chopper and Ezra, followed by the rest of the crew from the Ghost and the main villains. Immediately I knew the team nailed this thing. The designs I saw were all firmly rooted in the spirit of Star Wars that I knew as a kid in the early 1980s. Chopper looked just like a droid that could have been hiding in the corner of the Jawa sandcrawler in A New Hope, and Zeb clearly harkened back to Ralph McQuarrie’s famous proto-Chewbacca sketches. Characters, landscapes, cities, vehicles, props — even the color palettes they used — all of it harkened back to McQuarrie paintings, Joe Johnston sketches, and the familiar design sensibilities of vintage Star Wars. I relished each new item of reference material that I was given. As I read the scripts and met characters both new and familiar, I could hear the scores of John Williams (and to his credit, also those of Kevin Kiner) in my mind. When I came upon TIE fighter dogfights, speeder chases, and blaster battles with Imperial stormtroopers, it all stirred up my own memories of seeing the original Star Wars at a drive-in theater as a child. The big challenge in writing this book was the fact that the first season of Rebels was still firmly in development when I started. 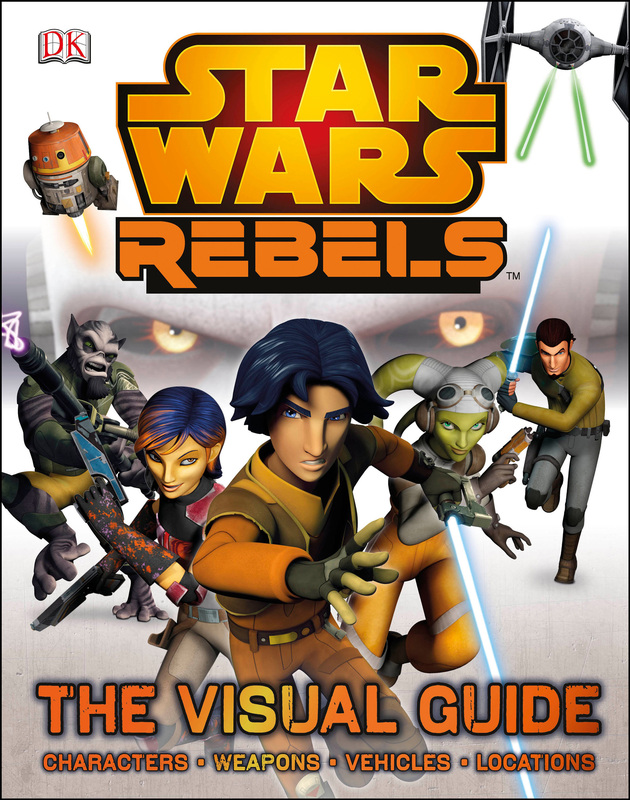 Since Star Wars Rebels: The Visual Guide would be released well before the premier aired, I had to actually work ahead of the animation team and allude to some things that existed only in script-form at the time. 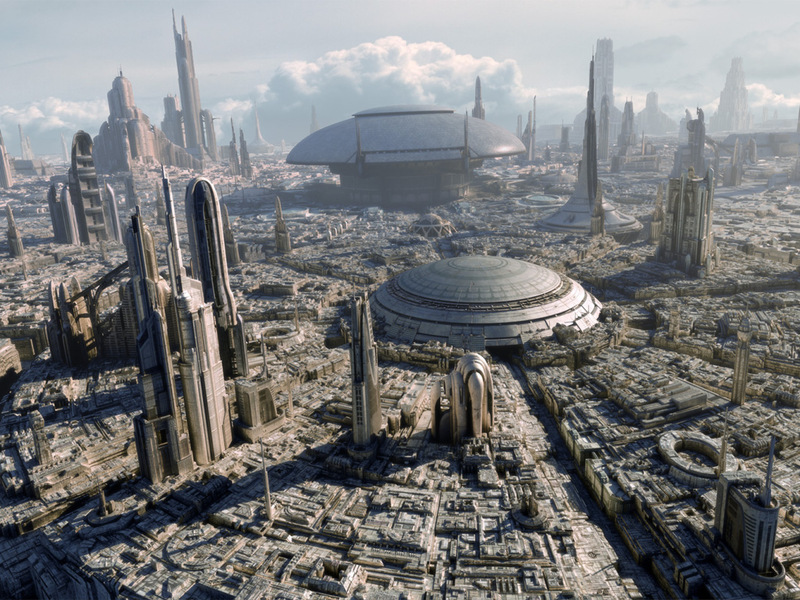 Additionally, Star Wars Rebels would unfold in a completely new and unexplored corner of the Star Wars universe. I had to break new ground in unfamiliar territory. This left me with a few gaps to fill. Fortunately I was given an exceptional amount of freedom to craft a lot of background details myself, in conjunction with Lucasfilm, drawing inspiration from other areas of Star Wars as much as I could. One of the really fun things about DK books is that they go into the fine details that we don’t necessarily see in the movies or TV series. They’re full of ship and weapons diagrams, vital stats, technical specs, manufacturing information, backstories, step-by-step breakdowns of scenes… in other words, a fun Hutt-sized heap of Zilkin-sized facts! When I saw the incredible amount of forethought and design that the Lucasfilm animation team put into the story and visuals of Star Wars Rebels — every component has a history, a purpose, roots in what has come before — I wanted to include that same level of backstory and believability in the text of the book itself. 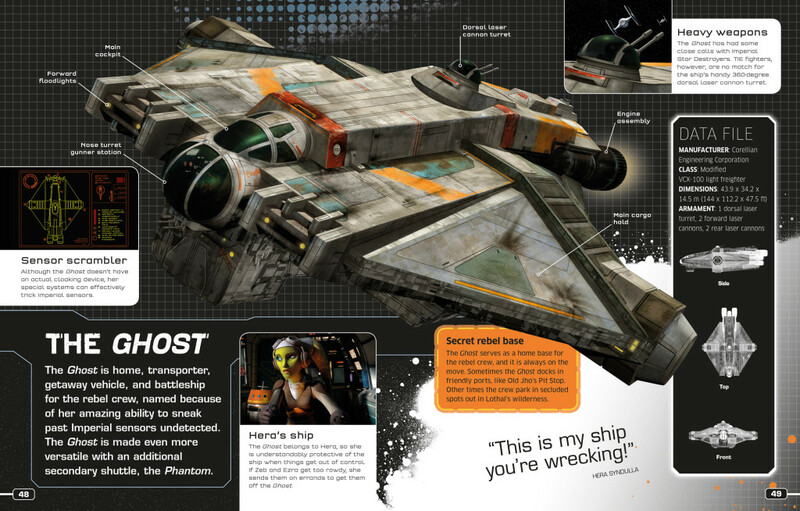 But how do you label diagrams for all the parts on Hera’s blaster, a new Joe Johnston–inspired speeder bike or AT-DP, or the Inquisitor’s unique lightsaber, when you are only seeing them for the first time (not to mention the fact that they exist only in digital form)? 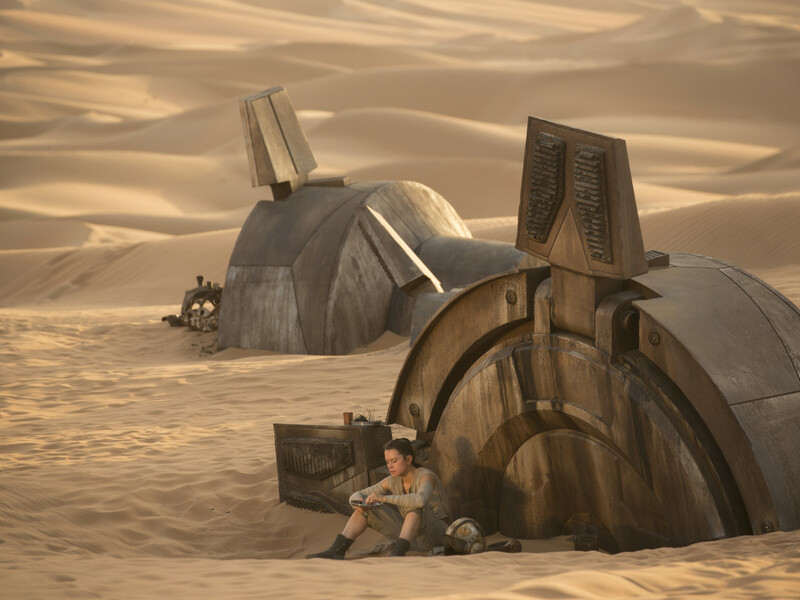 I had to carefully consider how new technology might logically function, all within the context of the established Star Wars universe. In terms of diagraming new lightsaber parts this meant comparing the hilts of every Jedi and Sith lightsaber I could possibly find. I learned enough about lightsabers that I could probably build my own now! For blasters I was not only examining firearms from all six films and The Clone Wars, but also weapons from World War II. For ships it meant lessons in engineering from Kuat Drive Yards, Sienar Fleet Systems, and browsing schematics for a few real-world tanks, motorcycles, and snowmobiles. There is no substitute for a good Star Wars library. I referenced foundations laid by other authors in books like DK’s Star Wars: The Complete Visual Dictionary and Star Wars: Complete Vehicles, various character encyclopedias, a whole stack of Star Wars art books, and even J. W. Rinzler’s The Making of Star Wars. Inspiration for this text isn’t drawn only from the original trilogy and concept art. 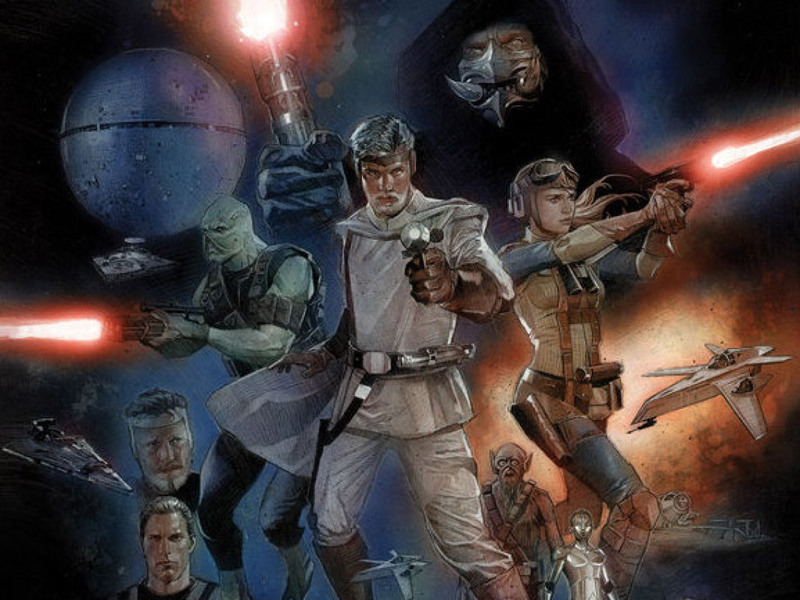 If you read closely you’ll find numerous hidden nuggets from the prequels, The Clone Wars, and, yes, even material rooted in Star Wars Legends (formerly the Expanded Universe). 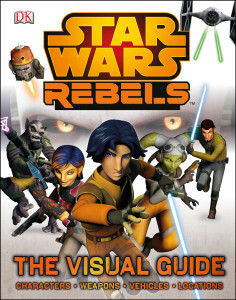 As if writing Star Wars Rebels: The Visual Guide wasn’t already the best project in the galaxy, toward the end I was informed that executive producer Dave Filoni would be writing the book’s foreword and that I would be given a chance to interview Dave, CG supervisor Joel Aron and executive producer Simon Kinberg. We would be adding a behind-the-scenes section to the back of the book with interview excerpts; a value-packed feature that I believe is unprecedented in previous DK Star Wars Visual Guides. 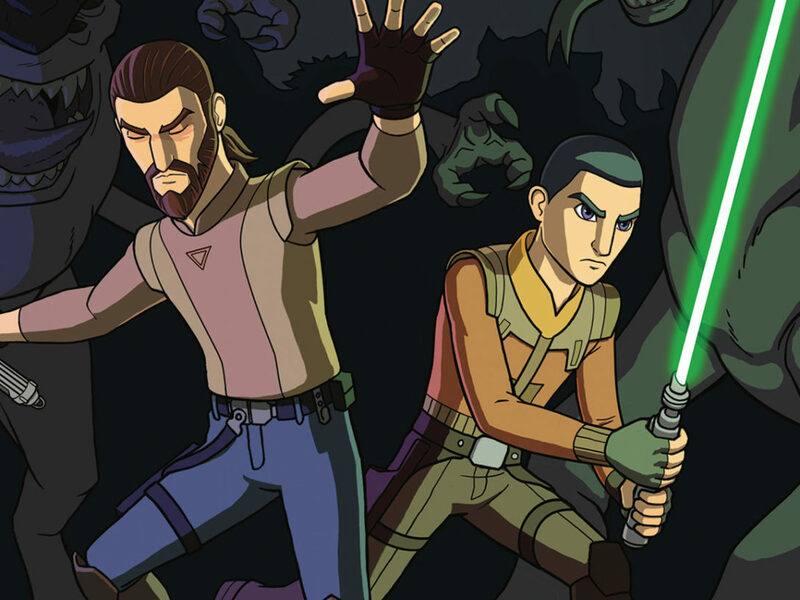 Just imagine suddenly being given your own private audience with each of these three talented guys (just check their IMDB credits to be impressed) and being able to ask them whatever you wanted to know about Star Wars Rebels and its place in the larger Star Wars universe… Sound exciting? You bet it was! 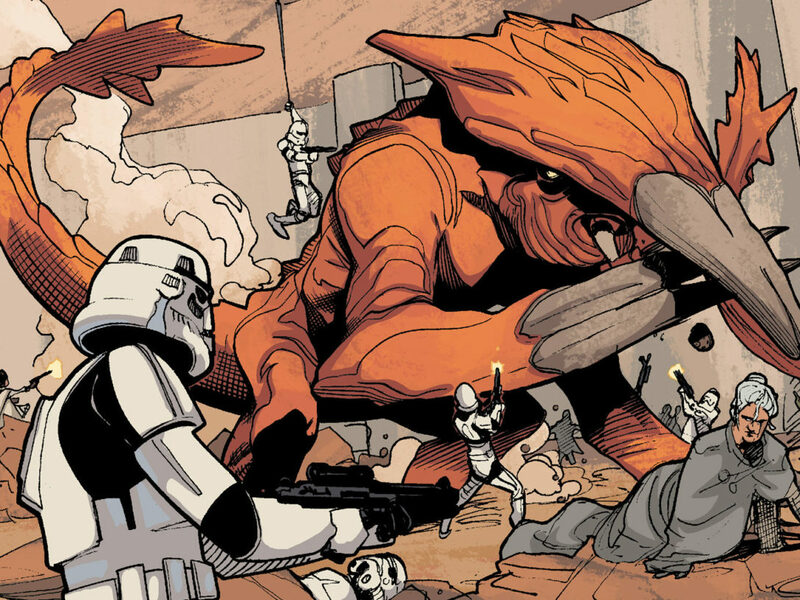 Needless to say I’m grateful to DK and Lucasfilm for the opportunity to help introduce this amazing news television series and finally share this book with all of you. 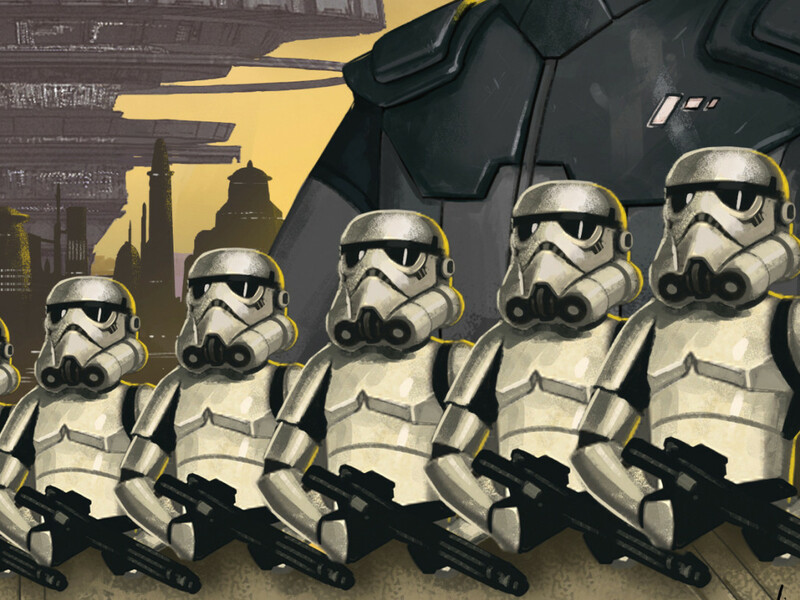 If you happen to be at Comic-Con International: San Diego please stop by the DK Star Wars booth in the Lucasfilm pavilion at 2:00-3:00 p.m. on Saturday, or 10:00-11:00 a.m. on Sunday to purchase a signed copy of Star Wars Rebels: The Visual Guide. During the Sunday session DK will be giving away free copies of my book, Star Wars: What Makes a Monster? 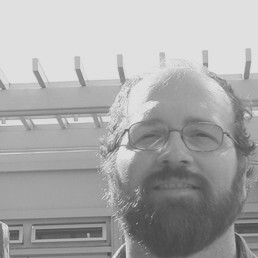 Author of DK’s Star Wars Rebels: The Visual Guide, follow Adam Bray on Twitter at @authoradambray.